After the Battle of Ramillies (May 23, 1706), the Duke of Marlborough wrote to Queen Anne to tell here of his victory. Here is her reply: "The great glorious success which God almighty has been pleased to bless you with, and his preservation of your person*, one can never thank him enough for, and next to Him all things are owing to you; it is impossible for me every to say as much as I ought in return of your great and glorious services to me." Queen Anne had a good grasp of primary causes (God) and secondary causes (the Duke of Marlborough) that contributed to the victory at Ramillies. 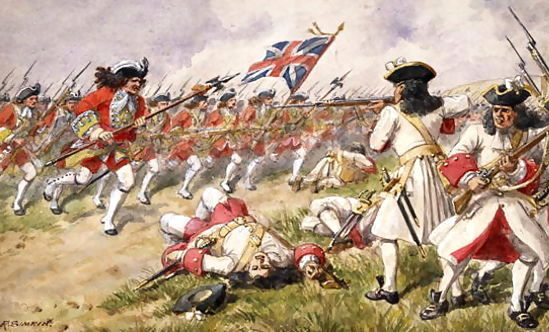 *Marlborough had been in personal danger at least twice during the battle: once when his horse threw him and he was pursued by French cavalry, and again when a cannonball killed the aide holding his stirrup so the Duke could mount.